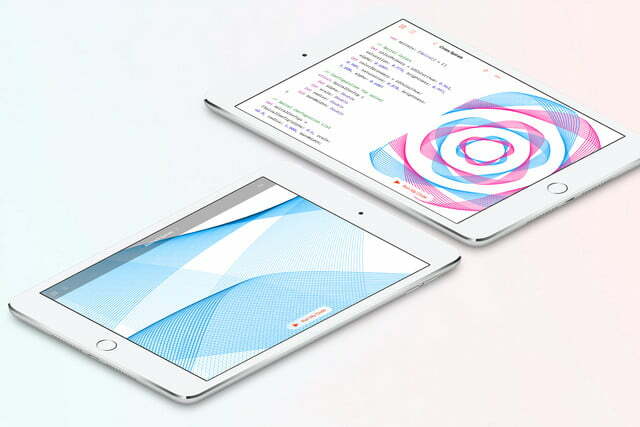 There were tears during Apple’s developer conference this year. Not so much that members of the audience risked dehydration, but people were definitely wiping the corners of their eyes. You don’t see crying at tech events much, thank goodness, but I was happy to see it here. It proved that some people saw how exciting, inspirational, and life-changing technology can be. It shouldn’t be a surprise that young kids can code. It wasn’t over MacOS, or the news that developers can now integrate Siri into other apps — I’d be writing something very different if anyone cried over that. No, the sobs came when Apple played a video called New Beginnings to accompany the announcement of Swift Playgrounds, an educational app, that teaches kids how to code. The video was so emotionally charged, it may as well have about puppies getting life-saving surgery. We saw stories of kids, teens, and adults who had in most cases, learned to code themselves, and gone on to find personal satisfaction, purpose, and success. Instead of inspiring us to go out and spend hundreds of dollars on a new phone, Apple was inspiring us to get up and make a contribution to tech in a different, more satisfying way. That’s right, I said us. 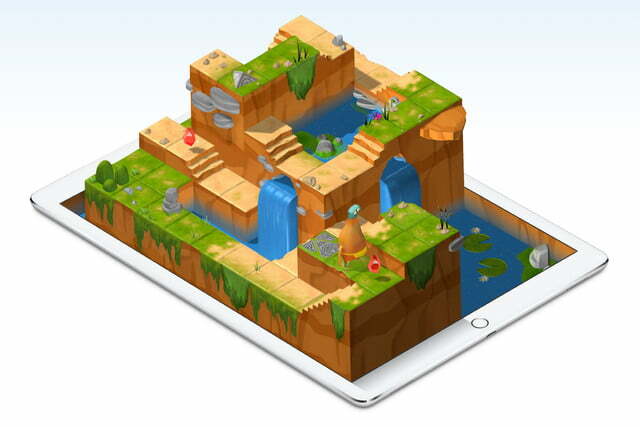 Apple may say Swift Playgrounds is for kids, but that’s rubbish. It made me, someone who hasn’t been classed as a kid for sometime, and never had any inclination to code before, want to learn. And learn right now. 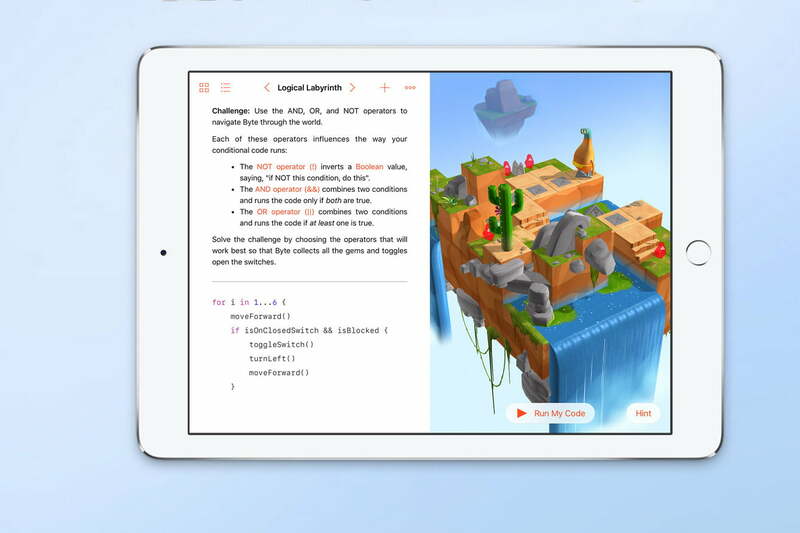 What’s so great about Swift Playgrounds? It’s free to start, and anyone who uses it will get the basics of coding with Apple’s Swift programming language. It’s not childish, doesn’t appear to be too basic, and it’s the first step in understanding how the apps we use everyday really work, before giving us the skills to make them ourselves. While schools are dropping the ball when it comes to teaching coding, tech companies are working hard to pick up the shortfall. There’s something very special about software development. Not everyone in the world is guaranteed an amazing life, and most people really have to work at it. Opportunities can be hard to find, but coding is a universal language that opens doors in a way that speaking German, French, Chinese, or English never can, and it transcends race, gender, age, and social standing. Tim Cook said as much during his keynote presentation, when he gave a shout out to the one hundred or so attendees under the age of 18 in the audience. The youngest developer in the auditorium? She was just nine years old. “She’s going to make one heck of a developer,” he added. It shouldn’t be a surprise that young kids can code. All those under 18 are growing up with tech in a way people twice their age can’t even imagine. And bizarrely enough, we’re not encouraging them to create the next generation of amazing products. A Google study carried out last year paints a bleak picture in U.S. schools, showing that currently, only one in four offer computer programming or coding classes. Nine out of ten parents want their kids to learn how to code, though, and kids being kids will see the likes of Mark Zuckerberg, Evan Spiegel, or Elon Musk changing their world using technology, and are inspired to do the same. Swift Playgrounds inspired me, though. 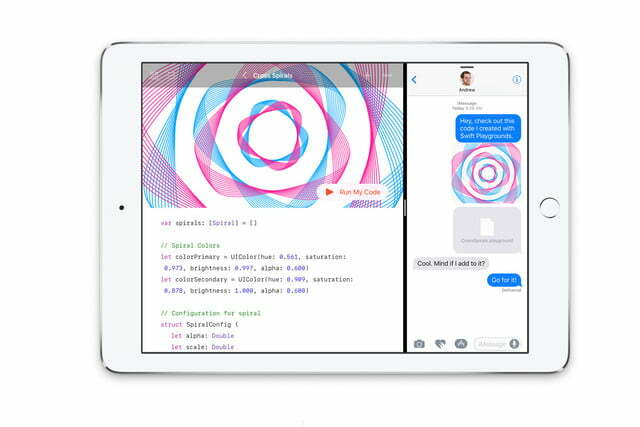 Although school is in my distant past, Apple presented coding in an adult, inclusive, and encouraging way. The potential for satisfaction, or even financial gain, from coding software is the same regardless of whether you’re 13 or 83. It’s also a fantastic way to get involved in tech, and give something back to the community that we’re all part of, even if it’s only on the sidelines. It doesn’t matter that Swift is a language that’s used almost solely for Apple devices either. You learn one programming language, and some of the battle to learn another has already been won. While schools are dropping the ball when it comes to teaching coding, tech companies are working hard to pick up the shortfall. One of the best known is Code.org, and its philosophy is described in the video below, with input from Bill Gates, Jack Dorsey, and Gabe Newell. It’s reinforces the points made in Apple’s video: Great things can come from learning to code. Google also operates an extensive education program. 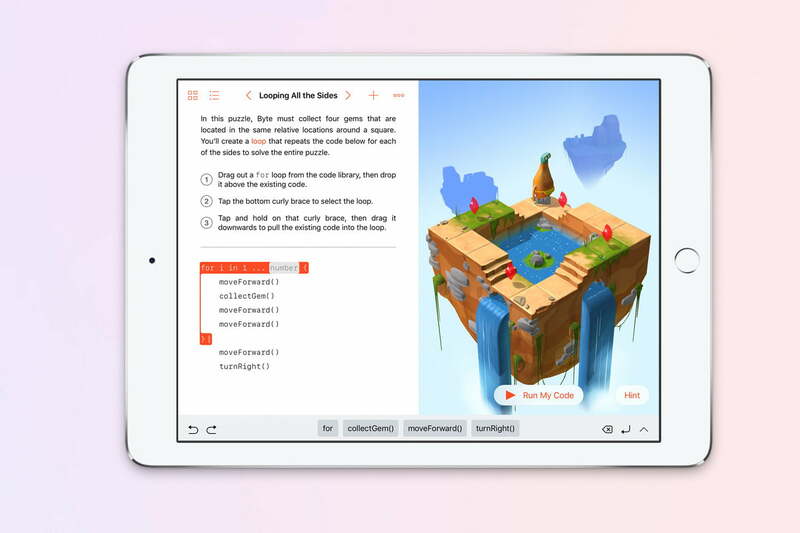 From making it easier for teachers to incorporate technology into lessons, to computer science resources like Code Gym — which operates in a similar way to Swift Playgrounds — and the CS First after school program for K-12 schools. Microsoft has Imagine, its own coding school with online tuition through the Virtual Academy. Additionally, it funds government schemes around the world, including libraries of material used by U.K. educators teaching the latest computer science curriculum. Also in the U.K. is Code Club, an after-school program that engages more than 62,000 children through 4,430 clubs across the country. You’d think with all this weight behind education, there would be millions of developers crowding cafes and co-working spots all over the world, right? No, and the industry continually talks about a lack of talented, qualified, and available developers with the right skill set. The only way to change this is to spark an interest early on in life. “Technology should lift humanity,” Tim Cook said at the close of the Worldwide Developer Conference. It’s a worthy statement and goal, but it’s a task that’s impossible if no one understands how to write and create the software that drives our tech. Shifting away from the traditional, dull, or unrealistic portrayals of coding — it’s boring, too hard, requires a hugely mathematical brain, or is your ticket into the Matrix — is absolutely essential if we’re to encourage more schools to offer the subject, and more kids to give it a try. Sure, they may hate it after a few tries, or not have an interest; but plenty will adore it, and there’s little denying demand for such skills will only increase the more technologically advanced and reliant we become. The more massive, influential companies like Apple produce free, inevitably well-made software that gets us all trying something new, exciting, and in some cases, life changing, the better. If it takes a schmaltzy video and a few tearful developers to make us all realize this, then so be it. Swift Playgrounds will be released in the fall, but it will also be included in the iOS 10 public beta trial next month.